Elegant evergreen shrub with deep green fragrant leaves that bears small flowers of white to pink in colour. It is resistant to moderate frost. 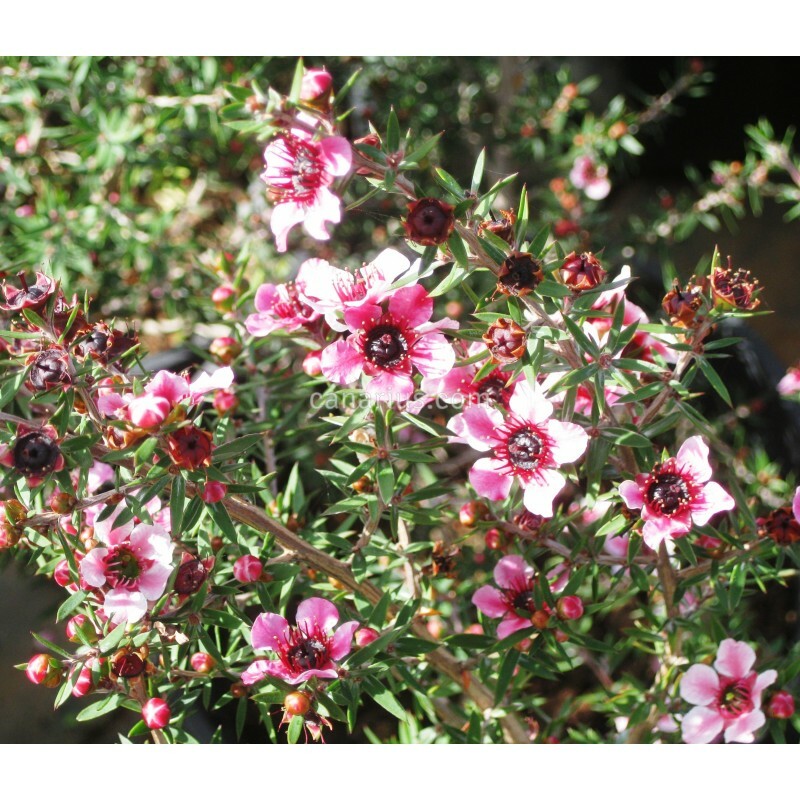 This plant is called Manuka and it is known for medicinal purposes but also because it makes a special bee honey. There are also reports of therapeutic properties. Elegant evergreen shrub with deep green fragrant leaves that bears small flowers of white to pink in colour. It is easy to grow in Mediterranean to Warm Temperate conditions. It is native to New Zealand and Australia and it can be found from coastal situations to low alpine habitats. The blossom is produced from September to February and most profusely in the later months. This shrub will slowly become a tree if kept unpruned. It can be kept as low as 50 cm, but old mature trees can reach heights of 8 meters. 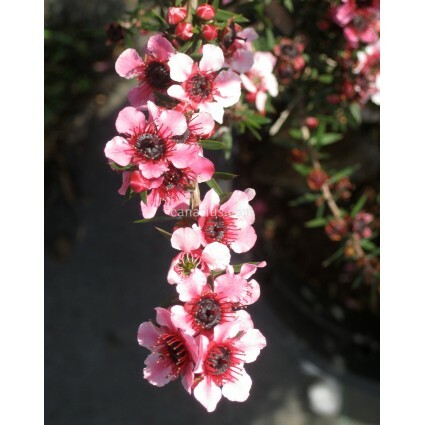 This plant is called Manuka and it is known for medicinal purposes but also because it makes a special bee honey. It is also known as "tea tree", with abundant reports of therapeutic properties. 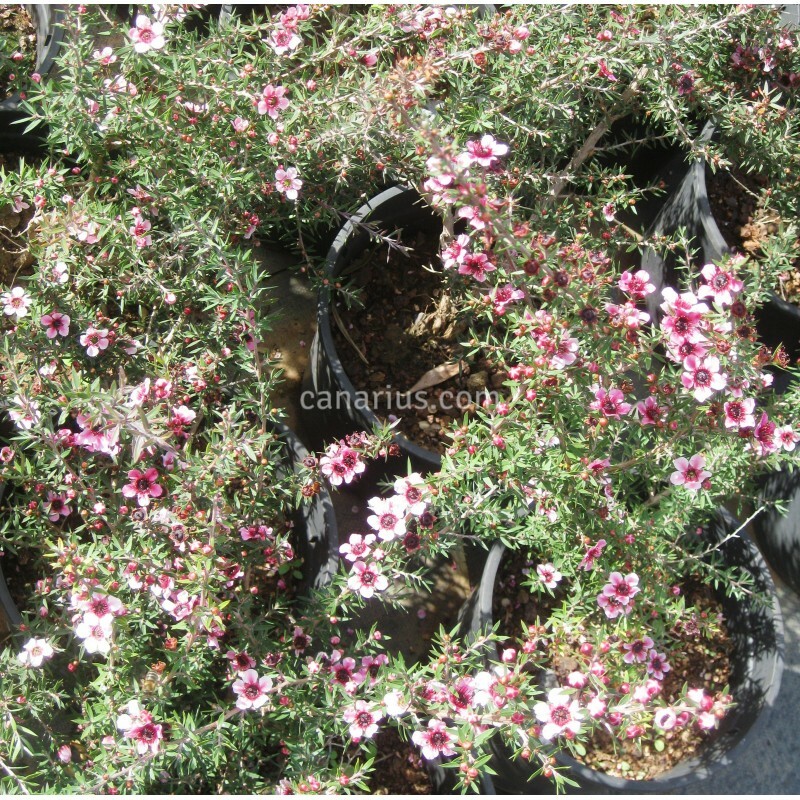 We ship a robust, sun-grown plant, cultivated in a 14-18 cm pot, of variable height of 30-70 cm. This is a fast growing species and it is produced once or twice a year. We will always try to select a compact robust plant for you. In some cases we will prune the plant before shipping. This is because some plants are too tall to fit in the box and also because the upper branches are too tender, so pruning will be helpful during the transit. It will surely grow back soon because it is a fast growing plant, commonly pruned in gardens. Depending on the season, this plant can be sent bare-rooted, with the roots wrapped in moist sphagnum or perlite. Be prepared to plant it in a pot of at least 18 cm, filled with good garden soil and place it in full sun, at 16-30 C. We ship worldwide.